MogoBlog MogoLicious Tasty Tip of the Day: Just when you thought all the Star Wars Hot Chocolates had run out, the Bantha Cocoa arrives. Perfect to finish the Star Wars marathon with. 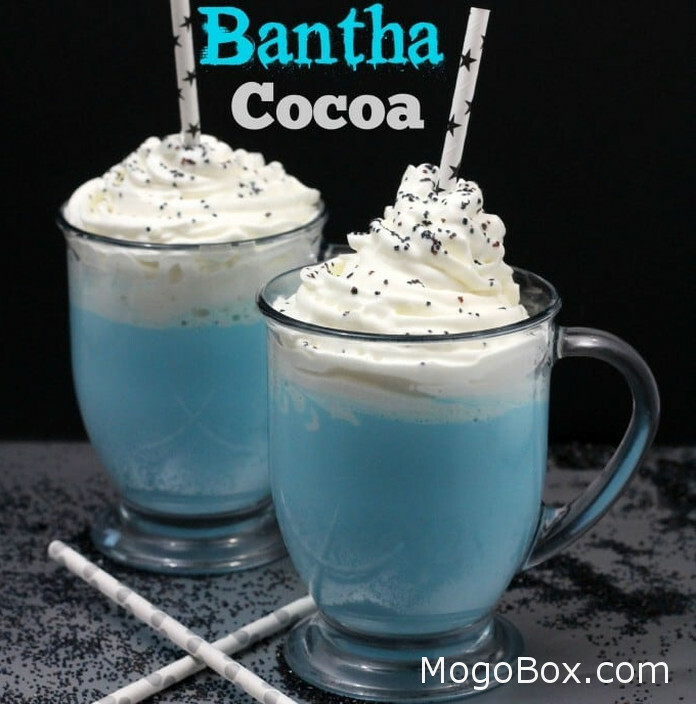 This entry was posted in MogoBlog, MogoLicious and tagged Blue Food Coloring, Cocoa, Hot Chocolate, Milk, Star Wars, Vanilla, Whipped Cream, White Chocolate.